Lars L. Berg represents individuals, corporations and other institutional clients as plaintiffs and defendants in a wide variety of civil litigation matters, including business and commercial disputes, product liability claims, trade-secret litigation, trademark disputes, personal-injury claims, employment law, and civil-rights litigation. Mr. Berg also has broad experience in professional malpractice claims and disputes among business partners and among shareholders of privately-held entities. He has also acted as the court-appointed receiver in an action filed by the Securities and Exchange Commission. 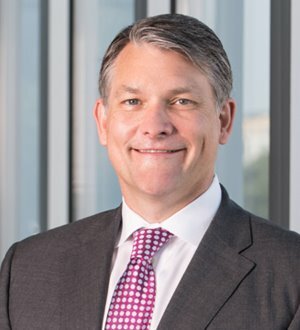 His extensive trial experience has gained him membership in the American Board of Trial Advocates and enabled him to become board certified in personal injury trial law by the Texas Board of Legal Specialization in 2001 and re-certified in 2006, 2011 and 2016. Mr. Berg’s professional commitment also extends to his past service on the Advisory Committee to the United States District Court, Northern District of Texas. He is the former president of the Labor and Employment Section of the Tarrant County Bar Association. He was appointed by the Chief Judge of the United States District Court for the Northern District of Texas to serve on the 2009 Merit Selection Panel for the United States Magistrate Judge position in Fort Worth. The Chief Judge also appointed him to serve on the 2016 Merit Selection Panel for the United States Magistrate Judge position in Wichita Falls. U.S. News and World Reports has included Mr. Berg on The Best Lawyers in America® ranking every year since 2005. From 2008 through 2017, he was named a Texas Super Lawyer which is a list published in Texas Monthly magazine by Thomson Reuters. Mr. Berg was also voted by his peers as among the city’s best attorneys in polls conducted by Fort Worth, Texas magazine and 360 West. Mr. Berg is also AV rated by Martindale-Hubbell.